Manufacturer of a wide range of products which include aluminum bracket, cast aluminum bracket and aluminium top bracket. We are engaged in manufacturing and supplying of optimum quality Aluminum Bracket to our esteemed clients. Offered range is extensively used in various industrial applications. This Aluminum Bracket is manufactured utilizing the optimum quality raw material In addition to this, our product can be custom designed as per the requirements of our customers. We are offering high quality Cast Aluminum Bracket to our customers. These brackets are manufactured using quality grade aluminum that is sourced from reliable vendors. Our professionals precisely manufacture these brackets in the compliance with industry set quality specifications and parameters. Offered brackets are widely demanded by our clients for their easy installation, compact design, precision engineering and corrosion resistance. 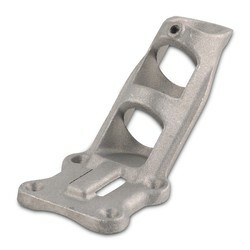 Pioneers in the industry, we deals with Aluminium Top Bracket. 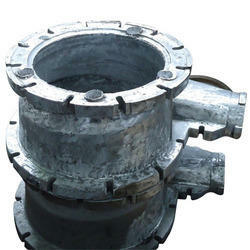 Offered casting are widely appreciated by our clients for their high pressure and temperature resistance. The molds, we offer are available in customized dimensions and demanded in various engineering industries. Looking for Aluminum Bracket ?